※The director and cast members are scheduled for an appearance. Free pass 5000 yen (including tax) SOLD OUT ※Tickets can only be purchased at the Sakura-zaka Theater or by telephone. ※When purchasing your tickets, please check the screening theater, cinema and screening time. ※Seniors: aged 60 or over. ※Pre-school children sitting on laps are free. ※You may be asked to show ID. ※ Free passes can only be used for the countdown event. ※ There are no screenings on the 23rd of the Yell, Laugh & Peace Countdown Festival. 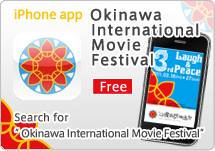 Available at Sakurazaka Theater and Okinawa Convention Center. ※ Sale times will be announced later. ※If tickets sell out early there may be no tickets available at the door. Note that distribution will only be made for each program at the screening venues. Tickets available one hour in advance. ※ Entry is free. However, tickets are required. ※All seating is unreserved seats. 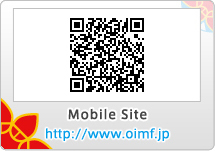 ※Each person may be issued up to 2 tickets for each performance. ※The times above are subject to change.